Belize is an adventure. Raw and natural with diversity throughout all aspects of our relatively small nation. From the sapphire blues holes of our cenotes, to the sand-swept towns of our offshore cays, the mangrove lagoons that divide our savannahs and the rain forests and jungle lodges that crown our mountains. Even the way we travel is an adventure, hopping across the country in prop planes, or barreling down the road in a 4x4. Before we even became an "adventure destination," Belize was always an adventure. 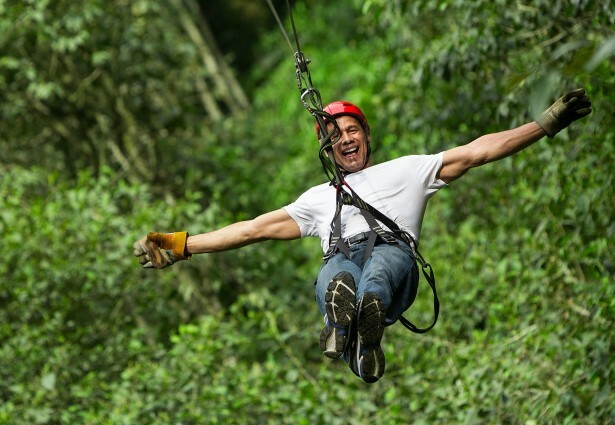 Today, strung across the canopies of our forests, zip lines dart visitors out over our jungle. Don a headlamp and inner tube and set yourself adrift along aqua rivers and into the crystal caverns of the Mayan underworld, Xibalba. Not in the mood to get wet? Barton Creek's cave system is large enough to explore via canoe. On the savannah, airboat tours can buzz visitors through the mangroves. And for something a little more tame, horseback riding through the rainforest gives a new perspective to our jungle trails. For a thrill that often involves a bit of your imagination on the tour, a night hike around the Hidden Valley Reserve can be fun and adventurous. Every day, new adventures and discoveries are made in Belize. Click here to view our Adventure Experiences.